Recently, when I've been having a bad hair day I resort to the simple yet sophisticated donut bun. It's so perfect for a laid back look, but still with a touch of 'look at the effort I've put in'. There are many ways to do this but I just find that this way works the best for me. Step 1: Do your normal thing before putting your hair in a high ponytail, whether that's brushing your hair or just leaving it wild for a little extra texture- that's what I do-. You want to just be able to see the peak of the ponytail. Step 2: Lift your ponytail in the air, so you are gripping the ends in your fist. You then want to take your donut and pull your ponytail though it so that the ends are just long enough to tuck around the bun. Step 3: With the ends that are sticking out of the donut you want to fold over the donut and tuck them underneath. Step 4: Now for the tricky bit! Holding the donut with both hands roll the donut once down your hair. At this point you want to tuck any loose bits of hair back under the bun. Step 5: Repeat the roll once again. You should start to see your hair forming -well donut shape!- If you can still see the netting on the donut then separate the hair slightly to fill the gaps and try to keep them in place on the next roll. 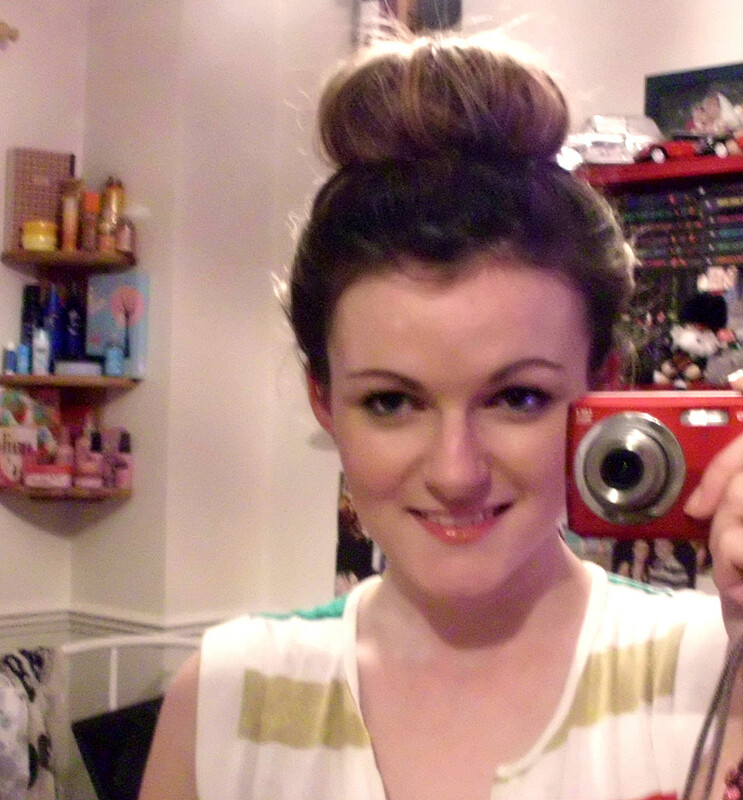 Step 6: Continue rolling the bun until you reach the top of your head. 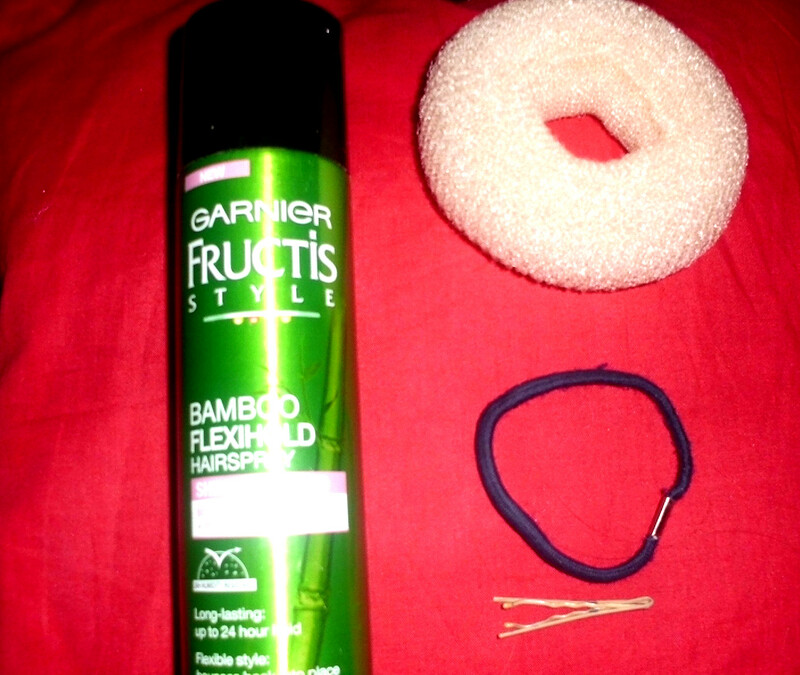 Step 7: Secure the bun with some hair grips at the front of the bun. 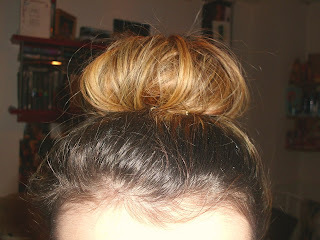 Step 8: If you fancy messing it up a bit then you can pull some of the hair a the top of your head out. Step 9: Finally you wanna give your hair a god old spray with some hairspray to keep it in place! Hope you enjoy this tutorial, I wanted to show picture of each step, but that's not easy so I chickened out! But I hope this helps!